New Orleans College Prep (NOCP), the school network that includes Walter L. Cohen and Lawrence D. Crocker Schools, was recently awarded a $1 million grant from the W.K. Kellogg Foundation. With the assistance of the grant, NOCP plans to continue to grow the performance of its schools over the next three years. NOCP plans to devote grant money to expand the number of students served, strengthen both the cultural competency and overall performance of teachers and staff, bolster socioemotional learning and supports for students, and enhance parent engagement initiatives. NOCP schools have shown significant academic progress over the past few years. Walter L. Cohen High School has risen from an “F” to a “B” after just four years of NOCP management. Cohen has also achieved 100 percent college acceptance and its graduates have earned more than $2 million in merit scholarship for three straight years. Lawrence D. Crocker Elementary School has improved from an “F” to a “C”, rising from the lowest performing elementary school in the city to above the district average, after only two years of NOCP management. In addition to the implementation of a socioemotional curriculum for students, NOCP has developed a cultural competency program for staff, in partnership with Leading Educators, a national organization for developing teacher leaders. The model will be a replicable program that can be used in other schools across the city and the country. As part of its commitment to racial equity, NOCP will continue to devote resources to lowering out-of-school suspension rates for its students, who are primarily African American. According to NOCP, the school network has lowered its suspension rate by half over the past four years, and cut the percentage of students receiving multiple suspensions by 2/3. NOCP will hire a parent engagement liaison for the network, and expects to increase parental participation rates in school events, as well as improve familial health indicators from its family needs assessment by connecting parents with social services. 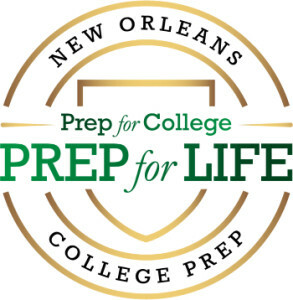 For more information, visit nolacollegeprep.org.